For many years, high frame rate (HFR) and super slow-motion cameras were luxuries that were only found on the highest end of live television productions. Fans watching those events at home grew used to seeing replays at 120fps, 240fps, 480fps or even 1,000fps. These replays gave fans a never before seen perspective at everything from controversial calls by the officials to the contact between the bat and ball in baseball. Thankfully, recent technology advances have now made HFR technology far more affordable for team or venue use. Today, all major camera manufacturers now offer HFR as a software option for most of their cameras, including many of their entry level units. This software-upgradeable approach allows clients to add HFR once they have a need, starting with a non-HFR system and easily migrating into one. Most of these vendors also offer super slow-motion systems as well, at price points that have also become far more affordable. However, these are typically specialty cameras that are purchased expressly for super slow-motion use, and therefore cannot simply be updated via software to include that feature in the future. 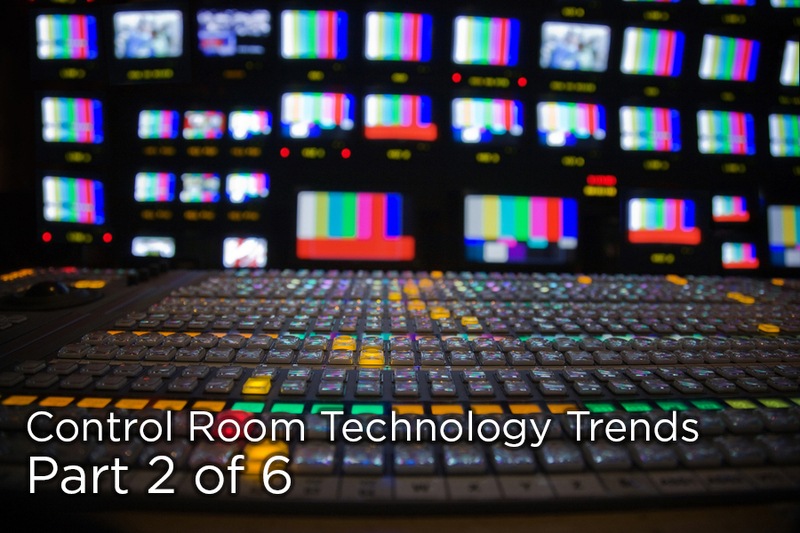 Either way, HFR and super slow-motion cameras are systems that can very easily be added to today’s control room and are very much a part of most of the systems we see today. Does It Even Make Sense: All the major professional sports leagues and the various collegiate conferences have different rules regarding what replays can be shown in venue, with some leagues and conferences being far more restrictive than others. If you are a member of a league or conference that doesn’t allow for the replay of controversial replays, then the benefits of HFR for live production are probably lost for your application. Number of Cameras: When planning a system with HFR capabilities, not all cameras in the system need to be HFR capable. Depending on your sport, different camera angles are far more desirable for HFR than others. Understanding how many cameras in your system should support HFR and their location are key decisions in the process. Replay System Impacts: The good news is that most replay system vendors now support HFR and super slow motion, even in their lower cost offerings. However, the number of HFR cameras you have in the system, along with their frame rate, will have an impact on the channel count and configuration of your replay system(s). HFR systems require more bandwidth than regular frame rates, thus reducing the number of replay channels available in a typical system. Super slow-motion systems require even more bandwidth are typically relegated to one-in-by-one-out or two-in-by-one-out solutions, depending on the manufacturer. Even if you aren’t planning on rolling out HFR immediately, considerations should be made in advance to make sure your core infrastructure will be able accommodate the technology when you do. During live events, HFR also has applications beyond fan engagement/entertainment and can also be used to change the outcome of the play on the field. Depending on your league’s replay rules, HFR replays can be used to help coaches determine replay challenges to controversial calls. These challenges can sometimes be the difference between winning and losing. We have several clients who have used HFR or 4K replays--more on that in a future blog--to have calls overturned and ultimately change the outcome of the game. Beyond live applications, many teams have also adopted HFR-enabled cameras for their field acquisition. High quality, low cost, HFR enabled cameras have become a staple for highlight and feature production and are a part of the production toolkit of virtually every client we have. HFR footage allows for slow-motion effects to easily be added to edited content, creating a look and feel that was previously only available to those shooting with very high-end video or film cameras. Whether you want to more closely replicate the replays that fans have become accustomed to seeing on live television broadcasts or add stunning slow-motion effects to your edited content, HFR solutions can be a very affordable tool that can be very easily integrated into your live event and post production workflows with a little bit of thought and planning.